1.High precision structure for simple and easy operation and repair. 2.The machine completes the whole procedure of filling,pouching,date printing automatically. 3.Selecte device: zipper bags device ,round pouch hole,pouching device. 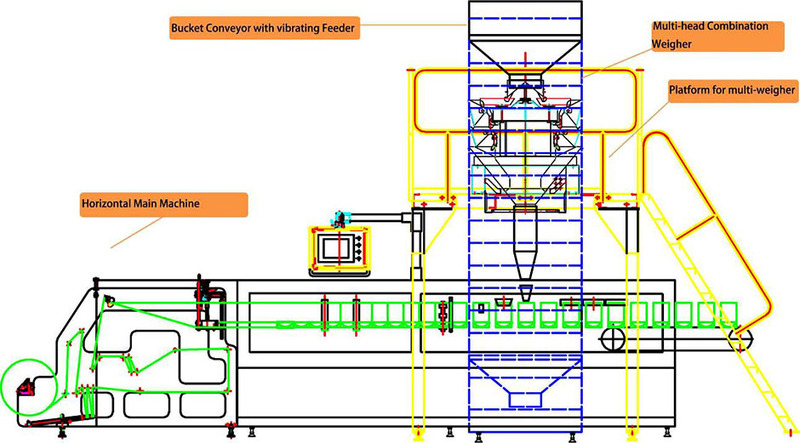 4.All the works of bag-forming,weighing, filling, sealing and cutting can be done automatically by this machine. 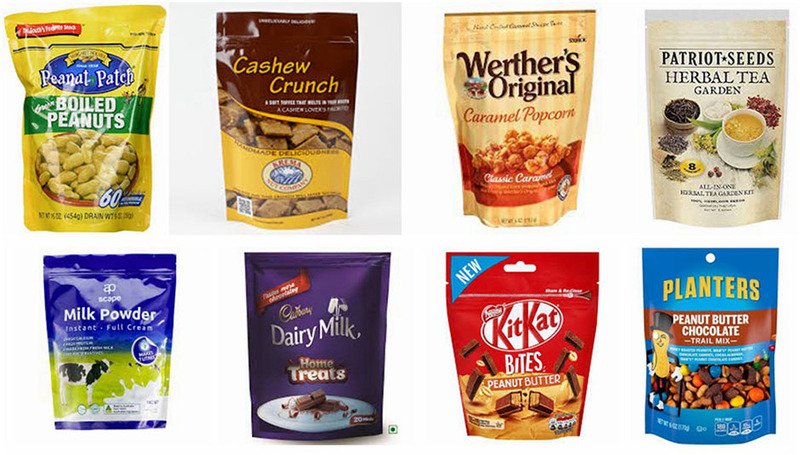 BHD series is designed for doypack packaging need, it can make standard doypack pouches, as well as with special additional functions like zipper, hanging hole, spout or special shapes. It also has big size and duplex series, which can meet packaging requirement of big volume and high speed. Please specify, if you require specified vendor to electrical and pneumatic components. If not, we will use our default vendor. You may ask us for our default vendor list. Please note that cost may increase, if specified vendor is selected. Flexible to fill and pack various product such as powder, liquid ,viscous liquid, granule, tablet , solid ,candy, stick product. Hundres machines already served in Food, beverage, cosmetics, personal care, household, chemicals and pharmaceutical industry. Mayonnaise & Sauce, Tomato Ketchup, Candy & Chocolate, Snack, Milk Powder, Oil Product, Dairy Food, Spices & Seasoning, Pet Food, Honey and so on. Coffee & Tea, Powder Drink, Water Product, Yoghurt & Liquid Milk, Fruit Juice, Beer & Liquor, Nutritional Beverages and so on. Skin Care, Hair Care, Sun Care, Baby Care, Oral Care, Bath & Shower, Cream, Toweletters, Perfumery and so on. Dishwash Product, Detergent, Laundry Product, Fabric Softener, Floor Cleaner, Air Freshener and so on. Agrichemical, adhesive, Lubricant, Paint and so on.